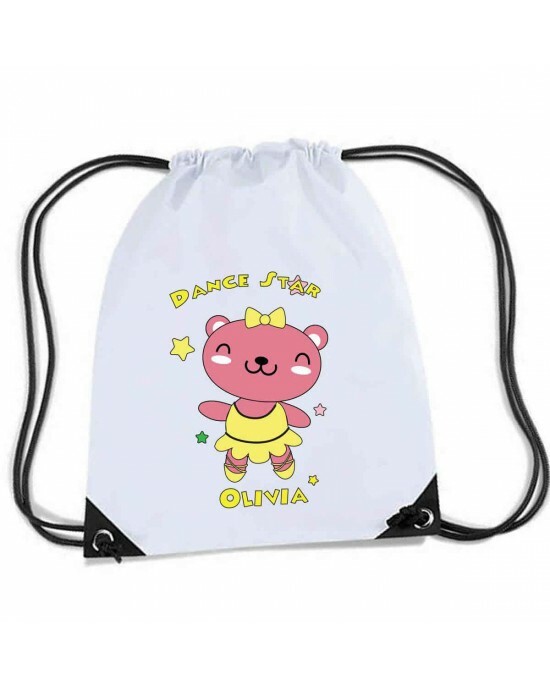 Cute Little Pink Dancing Star Teddy Design , Personalised Sports Nylon Draw String Gym Sack Pack & Rope Bag. Personalised Funny face Green Spotty Messenger / School / Sleepover Bag. Personalised Funny face Light Green Spotty Messenger / School / Sleepover Bag. Quality Personalised Kids T Shirt.Fantastically cute little Dancing Star Bunny, your kids will love this design for their personalised t shirt.A L..